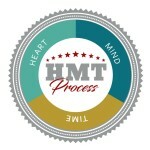 H-M-T: A process to help you create a union between your Heart and Mind – with Time. Learn how to eliminate your “dream blockers” and beat down your “gremlins”. Not another time management process. It’s a “You” process. HMT is FUN, INTERACTIVE and an EFFECTIVE PROCESS designed to help people get unstuck, and close the gap between what’s in YOUR head and what’s in YOUR heart so that YOU can begin to live Life on Purpose. What is HMT? Watch a short 2017 message from Lonnetta Albright, President of Forward Movement Inc.